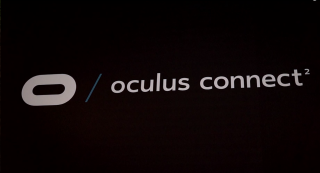 In September, Maximum PC's Alex Campbell and PC Gamer's Wes Fenlon went down to Los Angeles to attend Oculus Connect 2. They got to try a bunch of demos and chat with developers at the event, which is mainly geared toward developers. Alex and Wes tried out the Samsung Gear VR and Oculus Touch while at the event. In this video, they discuss what they got from the event, as well as what they thought of Medium, Oculus's "paint program for VR." The Gear VR, while not as sharp as the Rift, is still an impressive device. It will retail for $100 and be available in November. You'll need a Galaxy S6, S6 Edge, or Note 5 to use the Gear VR. There's no official date for the Rift release yet, but it's slated to go on sale sometime in the the first quarter of 2016. Oculus Touch will follow in the second quarter.